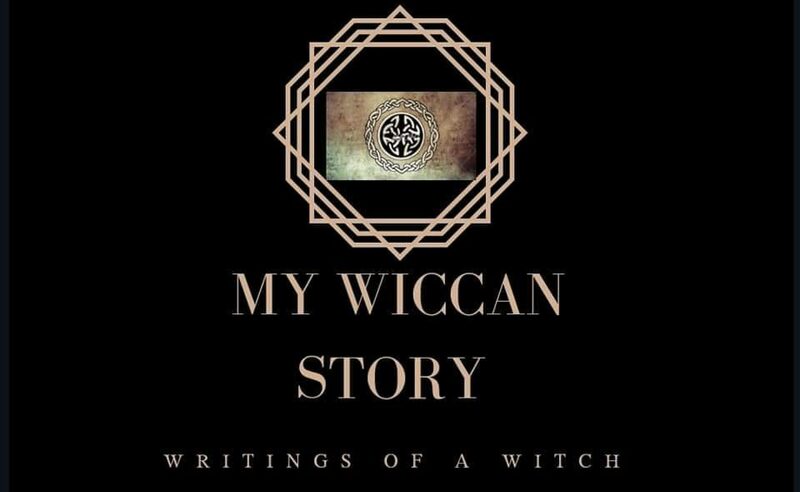 This month, on the 22nd, I had my initiation into Wicca. I am officially a Wiccan! The ceremony itself was so important to me. The night before I had my ceremony for the Winter Solstice, and that confirmed my belief that Wicca was the only choice for me. The initiation however, made me finally feel as if the Goddess took me into her arms. I felt warmth and peace during the ceremony. My nerves disappeared the moment it begun. After the ceremony, I did the ritual for the full moon. It came naturally, though I had never done it before. I had studied the words, written them out, and mentally prepared for it. And it flowed beautifully. My voice never wavered, I didn’t stumble over any words. I wasn’t awkward, I wasn’t distracted. I was focused, and I knew I was being heard by our Mother Goddess. After the ceremony and ritual, I decided to meditate with an Element. As there was a candle directly in front of me, I decided to try and interact with the fire. Many of my books have suggested only working with Fire creatures when you are skilled enough to control them. Maybe it was the high from the ceremony and ritual, but it was a chance I took. I didn’t aim for a Fire creature, but one most certainly chose to make itself known. I have meditated with Earth before, and felt a sense of grounding. That night, I chose to meditate with Fire. I didn’t feel a grounding or calm, I felt mischievous and reckless. I suppose looking back, that is how many would describe fire. It’s reckless, without a care in the world, and leaves chaos in its wake. In that moment, I was caught up in the fun that was the flame. I stared, getting more and more engrossed at how the flame flickered and waved. There were little sparks and the flame would, seemingly randomly, jump high an inch or two. I was mesmerized. The longer I stared at the flame, the more I noticed something moving within the flame. It was encased in the fire, but moving independently. I got closer, waved my fingers through the flame. One of my fingers got a perfect, black ring around it. Even though I hadn’t exposed the back of my fingers to the flame, the ring went seamlessly around the entire finger. I noticed there was a slim figure in the fire, and got closer yet. (Honestly, it’s a wonder my hair didn’t catch fire). The sparks seemed to be coming from its movements. As if it were dancing in the rain, the fire sparked and leaped around the figure’s movements. I grinned ear to ear as I realized what I was seeing. I had read about the Elemental Creatures, but had never dreamed of actually seeing one. Maybe I have a stronger connection to the Fire element than I had previously thought. I decided to speak to it, even though a part of me realized that acknowledging it could end disastrously. I spoke to it in a conversational manner. Though it was a one-sided conversation, I felt that it was listening. The pattern of the movements seemed to be its way of conversing back to me. I sat for a long while, just watching the Firedrake as it danced in the flame. In the end, I realized that it was time for me to close my circle and get on with my nightly duties around the house. I told the Firedrake that I had to go. I thanked it for showing itself to me and letting me converse with it. I was sincere, as I felt very honored to have seen it. Perhaps it was curious about the new initiate, or maybe my initiation opened the doorway between worlds within my circle. Either way, it truly was a eye-opening moment. I know a lot of people reading this can explain what happened in a million other ways. I am merely writing what I felt that night. What my mind told me to believe, and what I wanted to believe. Right now I could walk through every little detail and explain what was “really” happening. But I don’t need to. This gives me joy, a sneaky little joy with a sneaky little Firedrake. *Side note: now I really want a red salamander as a pet. Wow. This is a truly emotional post. I can almost feel your emotions. Very interesting! I meditate on a regular basis and find it very calming. I have not used fire as a focus point yet, but this post has opened that as a possibility for me. Thank you for sharing.